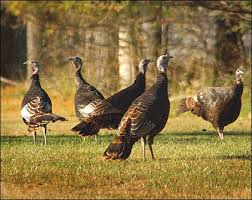 Wild fowls were in rivers, creeks and bays, and were so numerous in autumn and winter that they were regarded as the least expensive food on the table of the planter. There were large flocks of wild turkeys. The goose, mallard and the canvas-back, the red-head, the plover, and other species of the most highly flavored marine birds were more frequently cooked in the kitchen than domestic poultry. Sheepshead, shad, breme, perch, soles, bass, chub and pike swarmed in the nearest rivers. Join this blog for more interesting information about the first patriots to Virginia whose sacrifices and actions led a path to the freedom which ultimately resulted in the American Dream. Join $30 to subscribe for 3 months to Virginia Pioneers and read old wills on line. Easy.